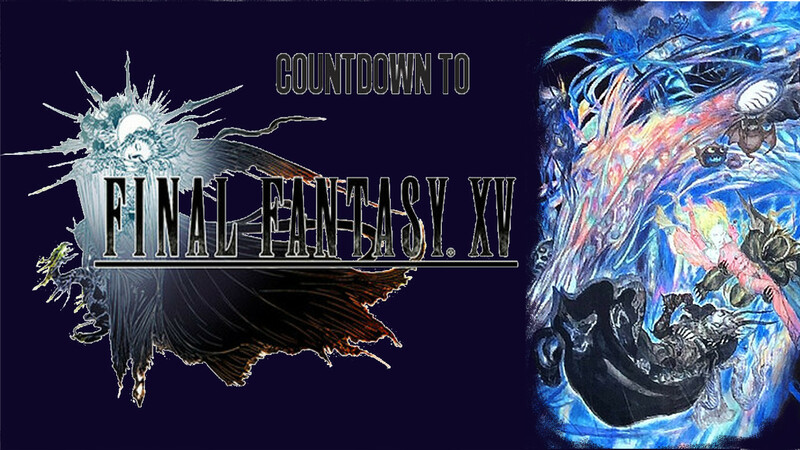 Given the previous two entries, it should come as little surprise that the next title on my countdown would be Final Fantasy Legend III. 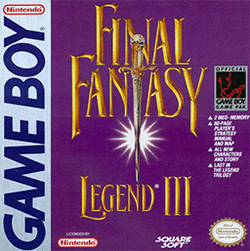 Much like the previous game, Final Fantasy Legend II, I was very tempted to put this game higher on the list. The only reason for not doing so was how strong the other titles are above it. On any other list, like of GameBoy games, this one would be near the top. Actually, the only real difficulty in this choice was in deciding which one to rank higher, the second one or the third. 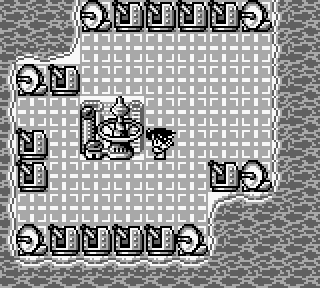 In a move that was mirrored later with Final Fantasy V and Final Fantasy VI, these two GameBoy games were largely produced in conjunction. In fact, there was very little time between their release in Japan. Unfortunately, in the United States, we didn’t get this one until 2 years after it had been released in Japan. Now that I am writing about it, it strikes me as interesting how similar this situation really was to the SNES era of Final Fantasy. Much like with Final Fantasy VI, with Legend III they went in an entirely different direction. And, in many ways, this felt like a much more modern take on the traditional RPG formula of the previous game. One serious upgrade was in the graphics department. 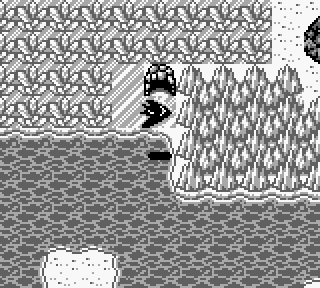 This game is actually my choice as the prettiest of all the GameBoy games. But it also released very late in that device’s lifetime, even if it was well after it’s local release. But not only the graphics received a modern treatment. This game has far more story and character development than the previous two SaGa games. In fact, that is the reason I pushed this one over the top of Legend II. What I loved about those previous two SaGa games was the old school combat and stat building, it was a really fun old school grind fest. But this game traded that in for a much stronger storyline, and characters with their own names and their own set of classes and abilities. That did take away some of the build-your-own adventure aspect, but for my tastes, that is a net gain when it builds more story and character development. The SaGa games were always a mix of fantasy and science fiction, particularly when it came to the choices of weapons and armor. But this game skewed much more in the science fiction direction. The main story did not involve climbing a fantastic tower, instead you gained control of a spaceship that would allow you to fly around and travel through time to fix what has been going wrong in the world. It should be pointed out that this was developed years before the eponymous Chrono Trigger. Even if it did lose some of the old school mechanics that drew me to this series in the first place, Final Fantasy Legend III ended up the better game for the changes. So if you were to remake these games from the ground up for a modern console, such as the PS Vita or even the PlayStation 4, I would bet that this one would appeal far more to the modern gamer. To be clear, I’m very happy that the next remaster we are getting is Final Fantasy XII (more on that much later in this list), but I would definitely be on board with a remaster of the GameBoy classics as well. The other two Legend games may be for a very niche audience even among JRPG fans, but this one would have a larger appeal now than it did when it was originally released.